75 degrees and sunny on a February day in Dallas meant grilling needed to be incorporated into our Sunday dinner. We’ve also been eating a lot of Mexican lately, which I think is sort of like chocolate: the more you eat the more you want. 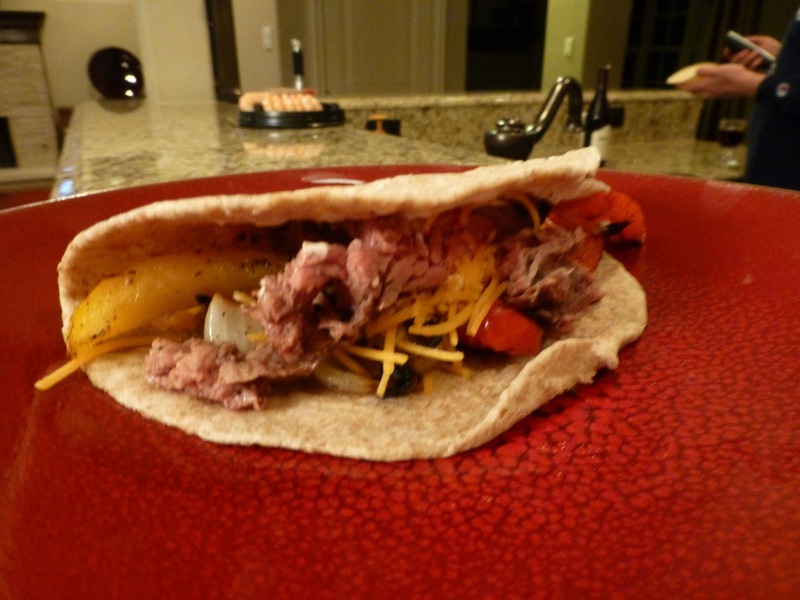 So, grilling + Mexican = fajitas. What kind to make? Steak, because I’m feeling iron-deficient lately. At least I think that’s what it means when you have an overwhelming craving for meat, right? The key to a good flank steak is a good marinade, and this gives great Mexican flavor. My mom made a similar recipe a few months ago that sparked this idea, and I just modified with a few of my favorite ingredients (Worcestershire, zest of any kind…). For those of you living in the chilly Midwest, you may want to pocket this recipe until you can enjoy it on the patio with a margarita. Mix all the marinade ingredients in a Ziploc bag, and add the steak. Marinate for at least 6 hours or overnight. Remove the steak from the marinade and season with coarse salt. Heat the grill to high, and grill the steak about 5 minutes per side. 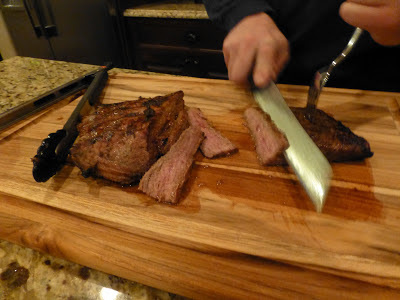 Let sit for about 5 minutes before slicing (thin and across the grain). Serve on warm tortillas with grilled veggies and sour cream. 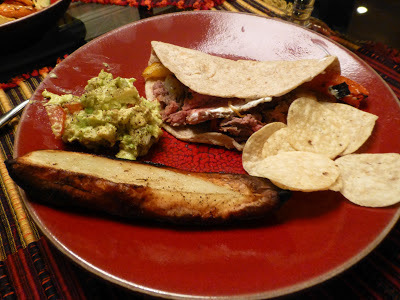 And guacamole and grilled potatoes.